I hope that my blog last week fired everyone up to engage in your campus and volunteer your time and skills, but I know that a lot of you attend classes online so you might wonder how you can volunteer to your benefit. You might find it harder to volunteer for a purpose, but you can do it! You might have to create some of your own opportunities or work a little harder to find them, but you can and you should do exactly that. Okay so this volunteering business, I've talked a lot about it, and I've even admitted that I didn't volunteer as much as I could have in college. But, we should still talk about it. While my shot at volunteering as an undergraduate has long passed, you might still have time. For those just starting your undergraduate studies or those in the middle of your time in college, tune in for just a sec. I know, it sounds dramatic. The thing is, though, I have a bit of a problem: I can’t say no. Now please, don’t misunderstand. There is a significant amount of time that I am known as “that mean chick” or “that really loud blonde over there”. But at the end of the day, I have this drive to help people … even if it means that my own schedule takes a serious beating. As presidential candidates step forward in the coming months, state and local politicians will be preparing for elections too. 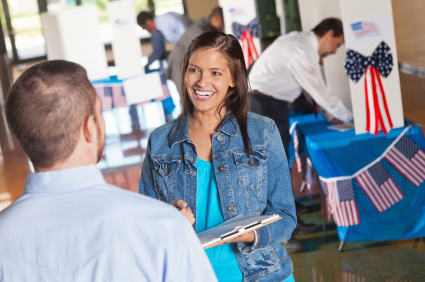 Rather than following the races via media, participating as a campaign volunteer can be a great way to not only gain work skills, but also use your newfound expertise to secure a permanent position. You have organized the unit mandatory fun day and the spouses’ luncheons. You have worked with dozens of Cub Scouts every week for an exhausting year. You have taught Vacation Bible School, handled the finances for the FRG and took notes during the PTA meetings. You have put in hundreds of volunteer hours over the years. Now, do yourself a favor. Put all that experience on paper. It can help you find a job. When my husband’s orders took us overseas, I was excited at the prospect of finding a new job. New challenges. New co-workers to meet. New experiences. I have started a new volunteer adventure over the past few months and I wanted to share my experience with you all. For the last year, I have volunteered for two different military organizations. Years ago, before I had my family, I did not volunteer because I didn’t think I had the time. Long days in the office and commuting were exhausting and I wanted to relax on my days off.